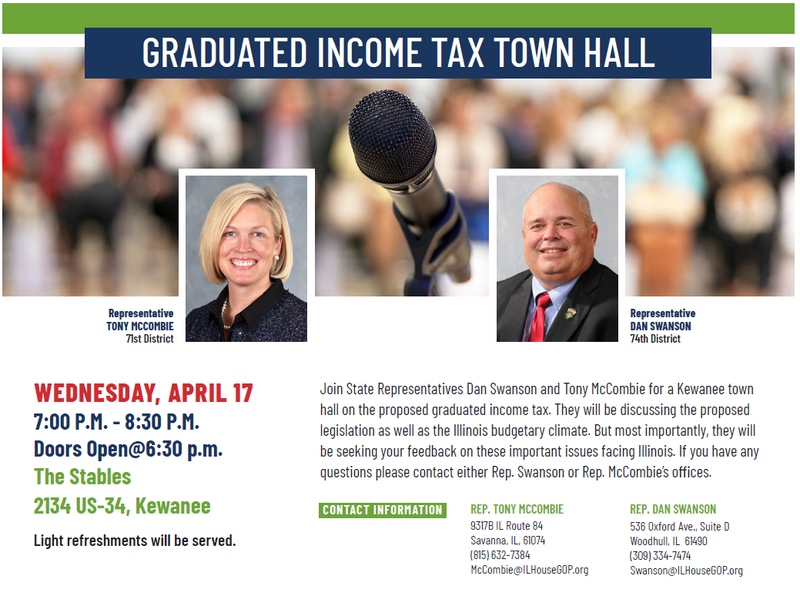 Join State Representatives Dan Swanson and Tony McCombie for a Kewanee town hall on the proposed graduated income tax. They will be discussing the proposed legislation as well as the Illinois budgetary climate. But most importantly, they will be seeking your feedback on these important issues facing Illinois. If you have any questions, please contact our office.